Easily remove tags that are no longer associated with any of your contacts. Select the Tags menu in the left column. Click on the downward arrow beside Tags. 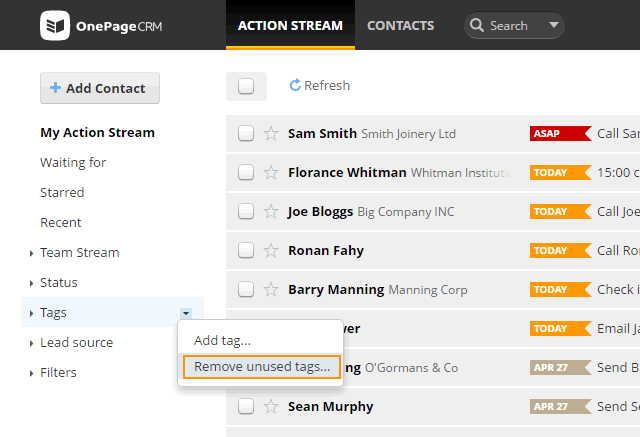 Select Remove unused tags… from the drop-down list. All unused tags will be removed from the Tags list. How to add and remove Tags for multiple contacts?